Flat Fee Realty is a North Carolina based company committed to helping home owners like you by simplifying the process of selling your home. We offer MLS listing packages as low as $495. We ask you to shop around and are confident that you will find our Flat Fee programs SAVING home owners THOUSANDS of DOLLARS is the way to go! Let us help you choose a plan that suits your needs. Terry ran his own custom home construction and Real Estate development companies for 20 years before 2006. Since then, he has been helping buyers and sellers with their real estate needs. Employing his vast amount of knowledge and experience on your behalf will give you an advantage in your search for a new home or sale of your existing residence. Terry is currently a member of the Top Producers Council and frequently exchanges thoughts and ideas of our current market conditions with other Top Producers. The Mission Statement of the Top Producers Council is: The Top Producer Council is an organization that encourages successful REALTORS® to share knowledge and expertise through group discussions, to learn through informational speakers and experts, to provide annual educational events for all of RRAR, and to support our community through our efforts of giving and serving. Top Producers Council membership requirement is annual production of $10 million in gross sales or 50 transactions. Terry offers the “total package” as a Real Estate Professional when it comes to knowledge, experience, and professionalism. Terry will do what it takes to accomplish all of your goals and provide service beyond your expectations. 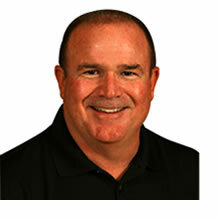 Terry looks forward to meeting you in person to discuss your Real Estate needs and helping you to achieve them. 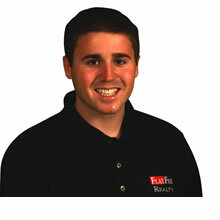 Kory McDonald has been in the real estate business for over 9 years in North Carolina. Kory is dedicated to providing excellent customer service and is willing to go the extra mile as your Real Estate Broker. He knows the community, area market trends and is ready to help you save money and achieve your real estate goals.